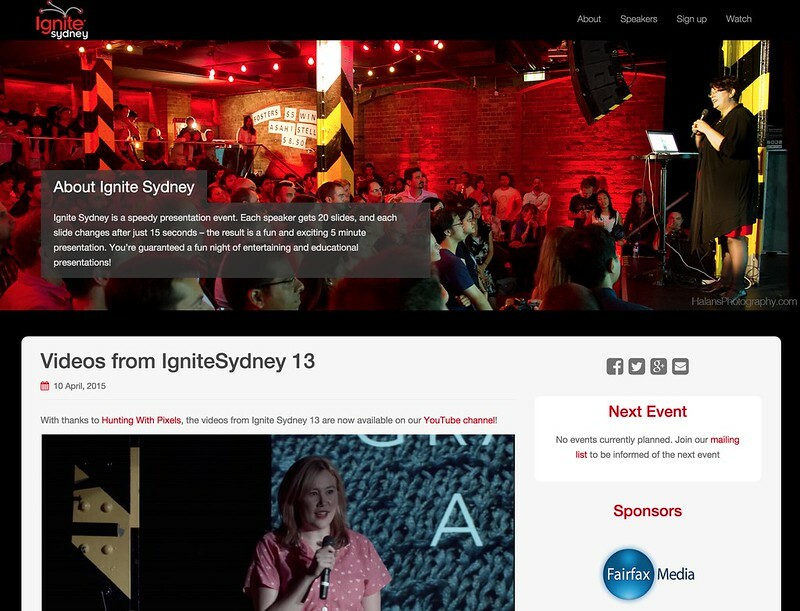 This project involved a total redesign of the Ignite Sydney WordPress site. It's based on Bootstrap and is designed to match the Ignite colour scheme. It's based on the Dazzling template with some configuration changes including the custom sidebar, sponsorship section, integration with EventBrite, and the social media icons.